I'm writing from out in the north Mississippi countryside, where my life has become complete! 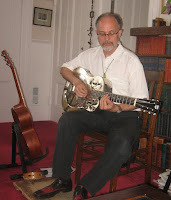 I've just found and played the 1932 National Style N single-cone resonator guitar originally owned by my favorite musician: 1930s bluesman Bo Carter, who died in 1964, leaving nothing but his recordings and this instrument. My Holy Grail stands caseless, blithely leaning against a living-room wall in the home of Bill Gandy, a retired railroad engineer and amateur guitarist. Bill, his wife, Beverly, and their teenagers, dogs, and pet pig live here, a few miles out from Potts Camp (population 500). For years, I have been fascinated by Bo Carter, the remarkable guitarist and saucy lyricist responsible for such classics as "All Around Man," "I Want You to Know," and "Your Biscuits Are Big Enough for Me." I have spent countless hours listening to his 118 recorded sides and then learning and performing them. His guitar parts are perhaps the most challenging of any country blues artist's, with varied keys and tunings (including the unusual D G D G B E), strange chord shapes, and sparkling runs. Five years ago, my fascination progressed to downright obsession. I moved from Arizona to Mississippi to get more in touch with my inner Bo Carter. I enrolled in the master's program in southern studies at the University of Mississippi and did my thesis on Carter. I visited his unmarked grave in a weed-clogged cemetery in Nitta Yuma. I traveled to towns where he hung out. I met a few people who had heard him play. One was a man who marveled about how, totally blind late in life, Bo could tell the difference between a $5 bill and a $10 bill when you handed him a tip. 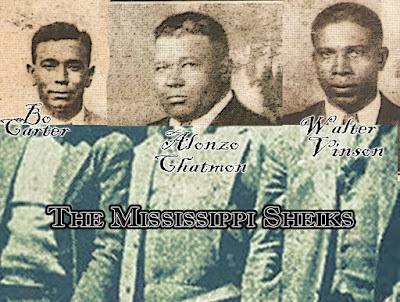 Another was a well-off Vicksburg woman whose mother had employed Bo's wife as a maid. When Bo stopped by to pick up his wife, the woman re-called, he'd break out his guitar and entertain the children with smutty that National guitar songs. Wandering Bo's turf, performing his music, and picking up tidbits of information about him here and there—that's as close to him as I ever expected to get. Until I picked up that National guitar. Bo liked it, no doubt, for its flashy look as well as for its loud and distinctive sound and its durability. He still had it in 1960, when British blues researcher Paul Oliver happened to meet him in Memphis and interviewed and photographed him for the book Conversation with the Blues. Probably shortly before Carter's death, the guitar passed into the hands of one [Preston Alvin] P.A. 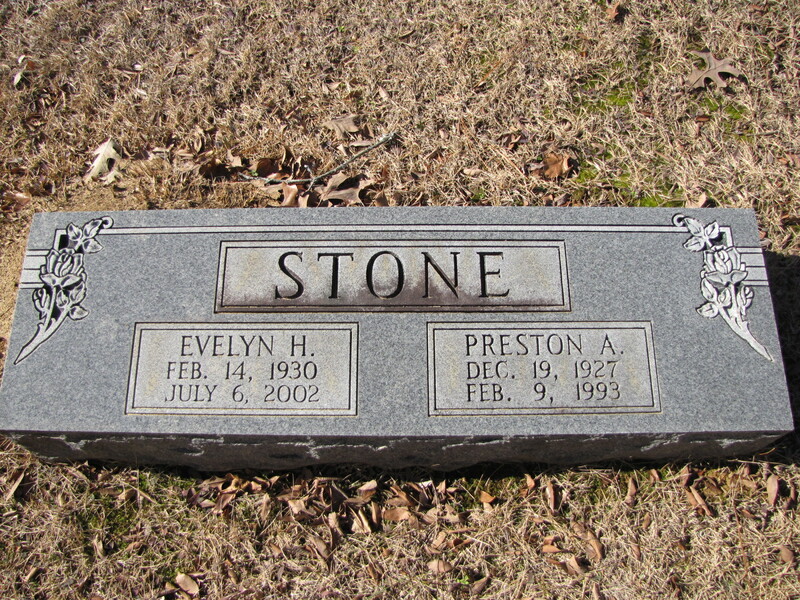 Stone [Dec 19, 1927 – Feb 9, 1993 buried in Bethel Cemetery, Desoto County, MS], who ran a trading post from his house in Hernando, Mississippi. 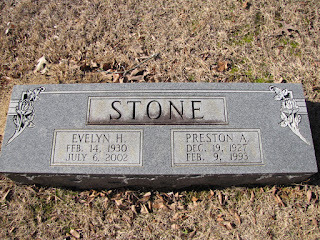 Stone was a guitarist himself, a country picker who sometimes played lap-style slide. He liked resonator guitars, but he preferred them with wooden bodies and square necks. This metal-bodied, round-necked guitar was not something he cared to play. so he stuffed it into the crawl-space basement of the building that was his home and store. There it lay hibernating, literally underground, for more than ten years. 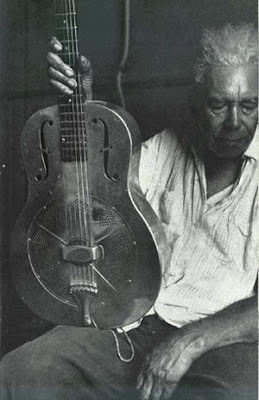 The guitar was thick with green mold and other corrosion when Stone pulled it out in the late 1970s to show it to Gandy, who was looking for a resonator guitar on which to play slide. 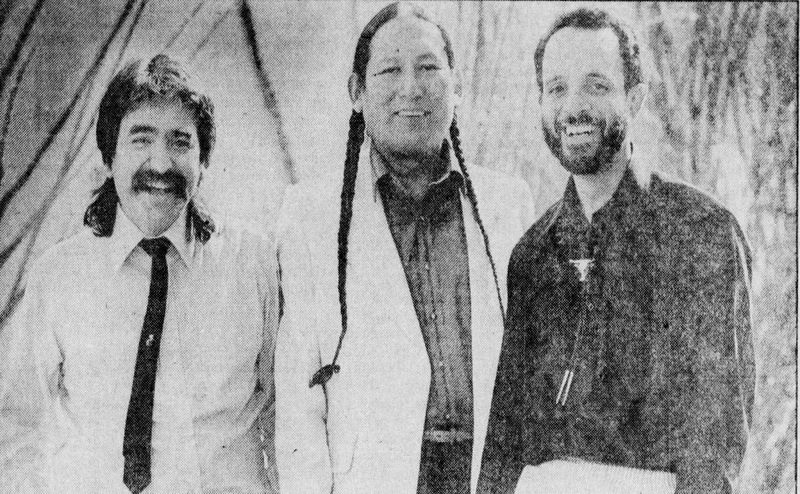 Gandy remembers Stone telling him that the guitar had belonged to "an old blues player from Mississippi who could play anything." According to Gandy, he said, "He could play rags, he could play blues, he could play anything, whatever the gig was." Gandy had expected to spend a couple hundred dollars on an old resonator guitar. So when Stone asked for $50, Gandy gave him a puzzled look. Stone apparently misread the look and said, "How about $40?" Gandy bought it, took it home, and used a power sander to remove the crud. 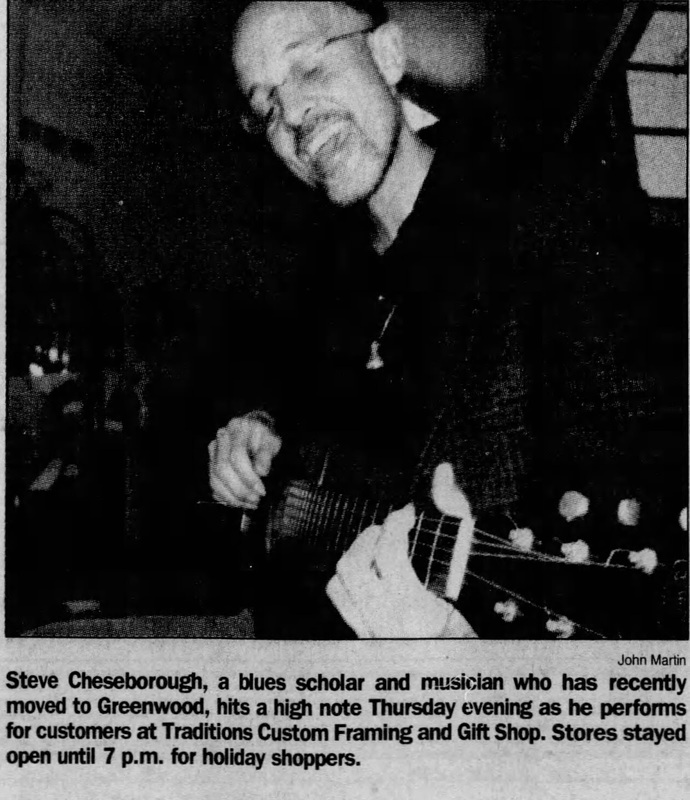 He took it to a guitar technician in Memphis to have the neck straightened out so he could play it. And play it he did. "I carried it on a caboose for years," Gandy says. "It sounded so good in there." A native Mississippian, Gandy plays in various styles, including a bit of the blues. He is interested in the music's history and lore. He met Gayle Dean Wardlow, a blues researcher and collector of old 78s and guitars, and told him the National was supposed to have belonged to an old bluesman. Wardlow figured out whose it was and showed Gandy the Oliver photographs. It was uncanny how the wear marks matched. It seemed that Gandy had the guitar of a great bluesman. "It ruined it, in a way," Gandy says. "I was afraid to carry it out. Before that, I had a lot of fun with it on the railroad."